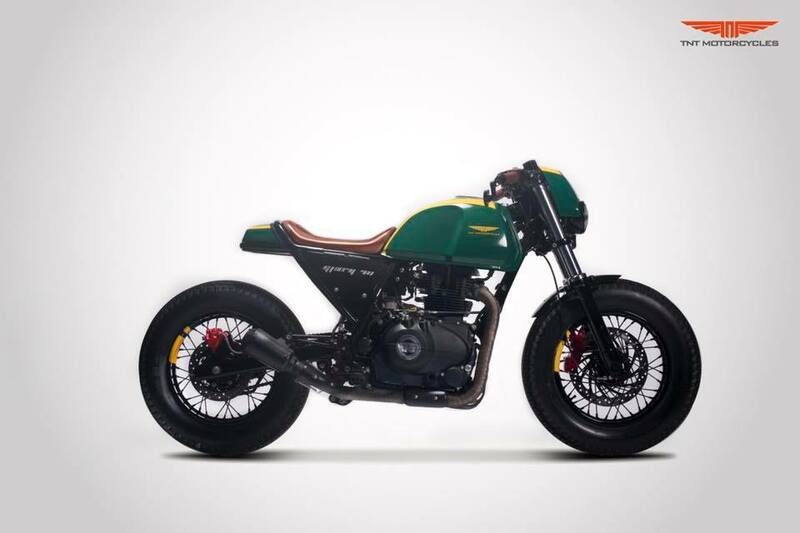 Today we are featuring Cafe Racer based on Royal Enfield Himalayan. This bike is build by TNT Motorcycles, Delhi. They have named it Glory 411. The bike is painted in British Green and Yellow inspired by the Lotus Racing Colors. The bike got Avon 5.00*16 Tyre both front and rear. The front end gets a Fat Harley Suspension and T Plate set up with twin headlamps and a facia. 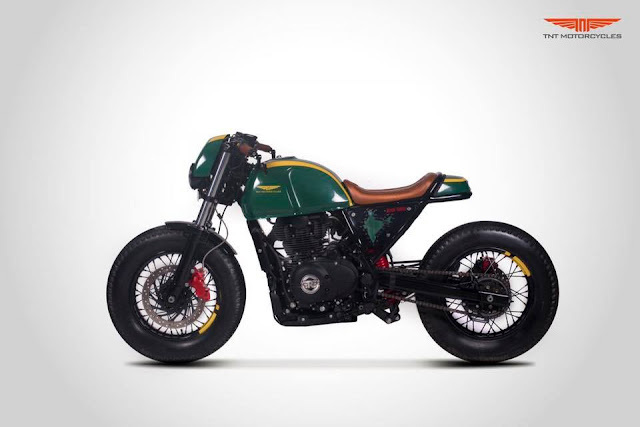 The build sports a solo perforated leather tan saddle and a rear scoop with integrated taillight set up. Rear subframe has been refabricated to achieve the cafe racer line. The fuel injection system has been replaced with a performance mikuni carburetor and K&N filter, the head has been shaved and ported to increase the compression ratio and get power at high RPMs. A performance exhaust has been installed to balance all that intake. 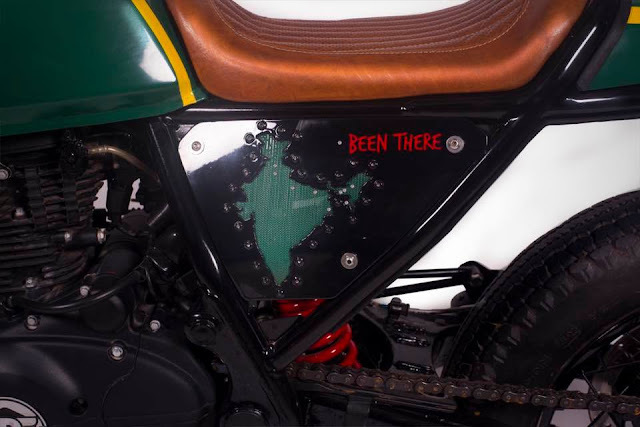 The side panel sports a perforated mesh Indian Map which can be updated constantly by screwing nuts in those holes to mark the destinations visited on the build.